Dr Albright was raised in Pennsylvania, grew up surrounded by animals, and always knew she would be a veterinarian. She earned her undergraduate degree from Penn State and later moved to Raleigh so she could attend North Carolina State University College of Veterinary Medicine. 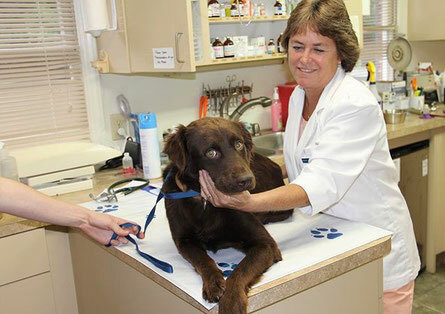 She opened Crossroads Veterinary Hospital doors over 28 years ago as the only veterinarian in the practice. Dr. Albright supports over 10 local animal rescue organizations and provides daily veterinary care for many of these rescued animals. Dr. Albright also enjoys running, gardening, and spending time with her husband, 2 daughters, and rescued dog and 2 cats. We are excited to welcome a new member to our practice, Dr. Sarah Smith. Dr. Smith grew up in Columbus Ohio and graduated from The Ohio State University College of Veterinary Medicine. 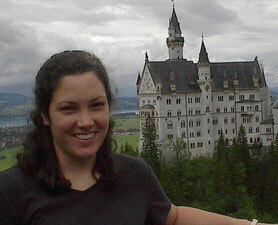 Her adventurous spirit took her to Farmville Virginia where she practiced high quality medicine with a small town feel. From Virginia, Dr. Smith then moved to Greenville where she met her husband which prompted yet another move to Raleigh. Dr. Smith loves building reationships with pets and their owners. She prides herself in offering complete health care and taking the time to explain medical concerns to all clients. Always seeking a new challenge, Dr. Smith has spent additional time diversifying her skills in ultrasound, dentistry and surgery. When she is not at the office, Dr. Smith enjoys exploring new restaurants and catching a show at DPAC. She is starting to reconnect with her artistic side. You might spot her at a wine and design. 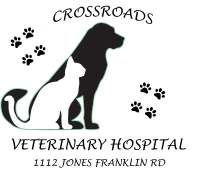 We invite you to meet Dr. Sarah Smith at your next visit to Crossroads Veterinary Hospital and welcome her to the family. Dr. Pease graduated from the NCSU CVM and started her career in Eastern NC and where she gained intensive emergency medical experience and training. She later moved back to the triangle and has been part of the CVH team for many years. Dr. Pease enjoys her spare time with her husband, 2 children, and 3 rescue dogs and chickens. Dr. Beam grew up in New Jersey and moved to the Raleigh area to attend NCSU. Her favorite hobbies are reading, working in the yard, walking with friends, and unicycling. Dr. Rachel Davis is originally from the Chicago suburbs and received her undergraduate degree from the University of Illinois at Urbana-Champaign. 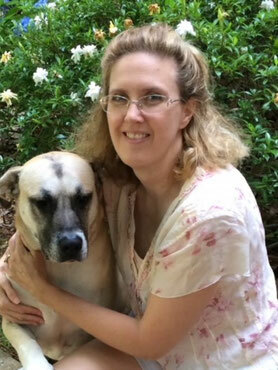 She moved to North Carolina from Maryland in 1997 and graduated from NCSU College of Veterinary Medicine in 2001. Since graduation, she has worked in small animal practice in Chatham county and Cary. Her interests include client education, making visits as fear-free as possible, pain management, wound care, dentistry and soft tissue surgery. Rachel and her husband, Clark, live in Cary with their daughter, their dog Edie, three cats, Sid, Pygmonkey and Fuzz Button, and a growing menagerie of hamsters, frogs, and small lizards. In her free time, Rachel enjoys swimming, reading, knitting and sewing. Dr Lamberton graduated from NCSU CVM and has done everything from emergency medicine to wildlife rescue. She works part-time at CVH and spends her spare time on her farm and mobile practice.